Book Review - From Frustrated to Fulfilled: The Empowered Nurses' System Edited by Lorie Brown JD, MN, RN - Accessible Healthcare Institute™ LLC. Rachel Danford. All Rights Reserved.Accessible Healthcare Institute™ LLC. Rachel Danford. All Rights Reserved. This month I have been able to read a book co-authored by 11 nurses, entitled From Frustrated to Fulfilled: The Empowered Nurses’ System. Dr. Lorie Brown JD, MS, RN is the CEO of Brown Law Office, PC and Founder of Empowered Nurses. As a graduate nurse, she recalls feeling frustrated and not empowered to provide the healthcare she felt her patients deserved and desperately needed. Through personal struggles she shares in the book, after achieving her Master of Science in Nursing degree she was motivated to pursue a career in law. Thus, in 1990 she graduated with her doctorate in law and began practicing as an attorney (and making less money than she did as a nurse). Based upon Dr. Lorie Brown’s philosophical approach to nursing, she created the GIFTS™ system as an effective tool to empower nurses in both their career and personal life. Since Dr. Brown is a go-getter type personality, she didn’t stop there. From Frustrated to Fulfilled, Dr. Brown also shares the Empowered Nurses’ Bill of Rights and gathered a group of 10 nursing experts to co-author this book sharing their individual experiences of how they defeated frustration and triumphed as a fulfilled nursing professional. Let’s hear what Dr. Lorie Brown has to say about empowering nurses towards fulfillment. One concept that rung a bell with me by co-author Dr. Alene Nitzky PhD, RN, OCN was the importance of terminology we use to refer to nurses. For example, the term mid-level provider or physician extender when referring to nurse practitioners (NPs) and physician assistants (PAs). These terms are demeaning, derogatory and an insult towards nurses who have advanced their education to achieve a Master of Science graduate degree. According to the American Association of Nurse Practitioner’s (NPs) Policy Statement, these terms originate from bureaucracies and medical organizations grounded in an established hierarchal healthcare system compared to a collaborative healthcare team membership, and are not reflective of the NP role. These terms imply mid-level care is provided, or that a person is an extension of another professional’s role. These terms confuse the general pubic of the role we fulfill within the healthcare delivery system and should not be utilized to refer to professionals. When we as a profession can refer to ourselves with the professional titles we have earned as nurses, rather than hierarchal terms other bureaucratic medical organizations have given nurses, then we can begin to embrace the power our role has within healthcare and make a positive impact on healthcare reform. Dr. Cynthia Howard PhD, RN, CNC shares her journey of realizing early in her nursing career how she felt nursing was the antithesis of power, unless you are expected to be a super hero with a nursing staff shortage and high acuity patient load. Dr. Howard shares her transition from feeling frustrated to empowered with the steps she took to be a powerful nurse and leader. As a Family Nurse Practitioner with a passion for autism education, both my Master of Science in Nursing (MSN) Graduate Capstone (thesis) and my Doctor of Nursing Practice (DNP) Capstone (dissertation) research focused on the developmental disability of autism. Therefore, my interest peaked when I read the chapter written by Dr. Donna Maheady EdD, ARNP, PNP-BC. Dr. Maheady is a Pediatric Nurse Practitioner and mother of an adult daughter with autism. Her passion has evolved from feeling frustrated trying to successfully raise a daughter with significant disabilities and manage the therapy appointment, medical appointments with her work expectations. She used this frustration to be an advocate for nursing students and nurses with disabilities. Dr Maheady shares the steps she utilized to be an advocate for nurses with disabilities and the professional fulfillment she achieved through her personal journey to empowerment. As a nursing podaster and listener of The Nursing Show podcast, I enjoyed reading the chapter written by Jamie Davis BA, RN, NRP. Jamie understands the frustration new graduate registered nurses may feel as they begin their career. 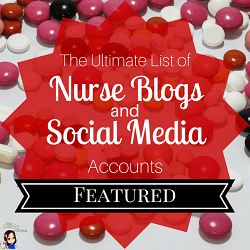 He provides a list of nursing blogs that have inspired him through the years. In addition, if you haven’t had the opportunity to start listening to podcasts, he shares how convenient it is to listen to podcasts and some of his favorite nursing podcasts, including The Nurse Practitioner Show™! Jamie is passionate about improving healthcare, patient outcomes and empowering the nurses with his gift as a healthcare journalist. Resources are important for any professional, and Jamie ensures you have plenty of options to utilize in your journey towards empowerment and fulfillment. Gail Weatherill BSN, RN, CAEd, CDP shares how she conquered what she refers to as Seismic Career Events, or SCEs, professional disappointments, and compassion fatigue. You’ll have to read the book to find out what SCEs entail and how to overcome them, though (hehe!). Joyce Harrel RN, OCN shares the empowering awakening she experienced leading her to the path of wellness and holistic well-being. As a communication specialist, Beth Boynton MS, RN focuses on assertiveness, which she correlates to empowerment and emotional intelligence (EQ). Beth implores nurses to develop assertiveness, as it is essential for well-being. She shares personal experiences that helped her transition to not only being assertive as a patient advocate, but for herself, as well. Although assertiveness training incorporates personal growth and can be a complicated step towards empowerment, Beth assures the reader it’s a significant component of being empowered not only in your professional life, but in your personal life. Beth is an exceptional author and the reader will definitely be inspired with the resources she provides in the book. I love the quote by Napoleon that Nicole M. Brown MSN, RN employed for the beginning of her chapter: Self-discipline begins with the mastery of your thoughts. If you don’t control what you think, you can’t control what you do. Simply, self-discipline enables you to think first and act afterward. Nicole shares concepts for empowered nurses to master: self-discipline and time management. This chapter is filled with action steps to achieve goals and her challenging journey towards achieving self-discipline. As I read the chapter authored by Bridgid Joseph MSN, ACCNS, I was reminded of my time as a registered nurse at New York University Medical Center in the Manhattan burrough of New York City. Simulation within healthcare is the act of role-playing in order to bridge the knowledge gap between classroom learning and real-life clinical experiences. Research has indicated implementing simulation activities within your educational department narrows knowledge gaps and most importantly improves patient safety. As an Acute Care Clinical Nurse Specialist, Bridgid saw highly specialized nurses paralyzed with fear when their beloved patient experienced a cardiac arrest. 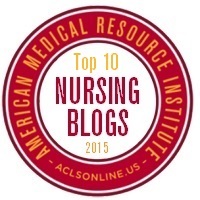 Bridgid gives the reader action strategies she implemented as a nursing advocate and leader to engage nurses during their voyage from feeling frustrated and powerless during a medical crises to being a confident, fulfilled and empowered nurse. In the beginning of the chapter written by Jill M. O’Hara RN, CHRP, RMT, Jill shares an experience I wish we all could have had as new nurses. Four months into her first job as a registered nurse, she became terrified the night she was assigned to be the charge nurse. One nurse saw her look of fear, pulled her aside into a closet and spoke empowering words that she has never forgotten throughout her nursing career, “don’t you know that we are all in this together? This is about teamwork, we work as a team and nobody is going to let anyone fail.” She continues to share her professional experiences that revealed how she was neither honoring herself nor the important people in her life, and the resulting epiphany. The epiphany Jill reveals enabled her to achieve empowerment and honor both herself and the important people in her life. From Frustrated to Fulfilled: The Empowered Nurses’ System is a superb example of how nurses cohesively work together inspiring the transformation of health and healing not only as patient advocates, but as nursing advocates for one another. According to the general public, the nursing profession is regarded as the most honest and ethical profession. The co-authors of this book share their authentic experiences with action strategies they individually implemented to successfully achieve empowerment and fulfillment. It’s the perfect gift for nurses across the career spectrum, from new graduate nurses to those with roles as nursing leaders and educators. Each co-author gifts you with a light to ignite the power from within to achieve your nursing dreams. Dr. Lorie A.Brown JD, MN, RN was interviewed for The Nurse Practitioner Show™ and discussed her strategies to empower nurses and the steps nurse practitioners can initiate as change agents for healthcare reform and policy changes within your state. Stay tuned for this upcoming informative episode hosted by Dr. Rachel Silva, DNP. What a comprehensive review! You did a superb job, Rachel. I love how you introduced each author and their story in the book. Thanks so much Dr Rachel for including my chapter on “Disabled Nurse Power” in your review!